Last weekend we had a fabulous day at RAF Cosford Airshow and whilst Daddy was plane spotting, me and Grotbags were trawling the displays. 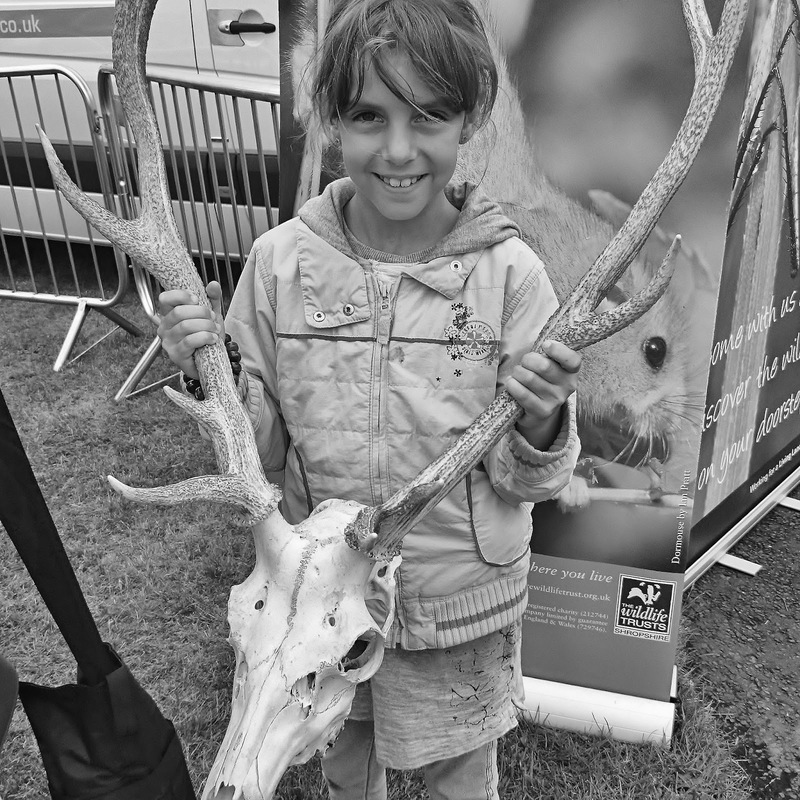 She loved the Wildlife Trust stand, lots of useful information about animals and their habitats. We have been to an airshow here too! So many things to see and do and of course the planes! What a great skull and the detail on the antlers is amazing in monochrome. Looks like she's enjoying herself!